Investing in property has always been considered the least risky and the most profitable, when, of course, the crises and the political cataclysms are not taken into account. Although even in a crisis, property cannot be fully depreciated and people will always need to live somewhere. Therefore there is nothing surprising in the fact that housing in London is in high demand among buyers and thousands of tenants. Even in the most severe crisis, if you own 1 or 2 bedroom flats in London to rent, it will be possible to let them in quite favorable terms. Moreover you cannot just hope, but to be completely sure in the rise in the general price-level of rentals. In order to obtain a high rental income is not necessarily to buy the most expensive and contemporary style apartment in London. It may be an ordinary flat that needs repair. What matters is that the property should be in a prime location in order to be in demand among tenants. When you buy a cheap property in a bad condition, after repairs, you can justify the cost fairly quickly by letting it at a higher price. Moreover, it is profitable to buy such apartments on credit and paying it with its rental income. The housing market in London includes buyers, investors and also renters. As you know, many Londoners cannot afford to have their own home. Furthermore, visitors of the city who come here as tourists and in relation to business or a new job need to live somewhere. Of course, each of them is guided not only by needs, but also by the individual financial capabilities when choosing a home. Rents in London highly depend not only on the state of lodging, but also on its location - the closer to the center and the prestigious neighborhoods, the higher is the price. 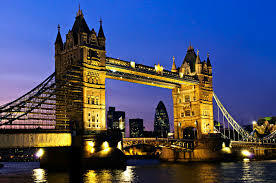 It is well known that London is one of the most expensive cities and property markets in the world. This megalopolis, in relation to the cost of housing and rental prices, also has the most expensive and the cheapest quarters. The cheapest homes can be found the in the east part of the British capital. If you have a moderate budget, and it is still not enough to rent property in the central parts of the city, the best choice for you, perhaps, will be the quarters located a few minutes away by the subway from the place of your work, kindergarten, school. It is better to get up a little earlier and take the subway than to pay every month a lot of money for housing in a prime neighborhood.